as much as i don't think i would be happy being THAT relaxed...i do love posts like this where i can show off some of the crap i've been up to. and now those around me can actually see in pictures really that i wasn't lying and that i do really work from home so please excuse when i answer the door at noon in my pjs with string hanging from places string should not hang from. i feel like this winter has passed me by (and i am SO OKAY with that) because for the past 4 or 5 weeks i've been holed up in my basement listening to talk radio, pandora, and some chic flicks on netflix, all the while sewing, and sewing, and sewing, and then sewing some more. unpicking when there are mistakes to figure out...and then sewing again. but it is all worth it because i love it. i truly and honestly love doing what i do. enough about me and lets show you all the stuff i've been doing to cause me to shed thread like a dog sheds hair in the spring. 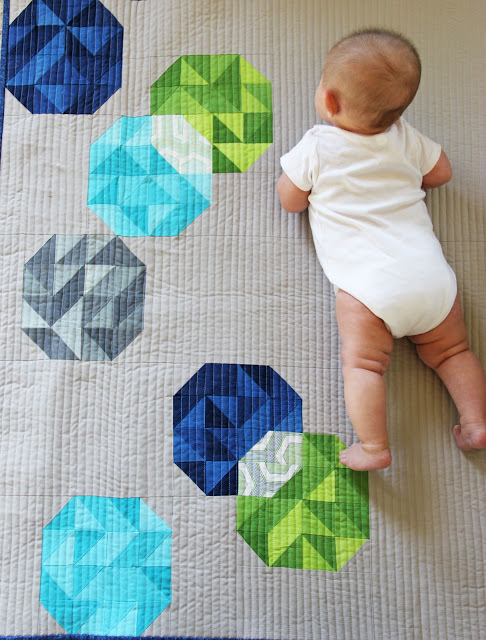 originally i was just going to make the large twin size but you know me and baby sized quilts...i kind of freaking love them...so i made a baby version as well. the large version is 68" x 80"
ideally this is a great boy quilt but if you add pink in place of any of those colors it would make an awesome modern looking girl quilt as well. baby quilt size 34" x 40"
large quilt size 68" x 80"
this quilt was created to show off the whole line. it uses every fabric in the line and the binding is scraps of the left over fabric from the blocks. this is a great pattern to use a whole line with, it doesn't get overwhelming because of all the background separating all the different colors. that's kind of how i roll, i like to see each fabric so i separate them with background fabric. 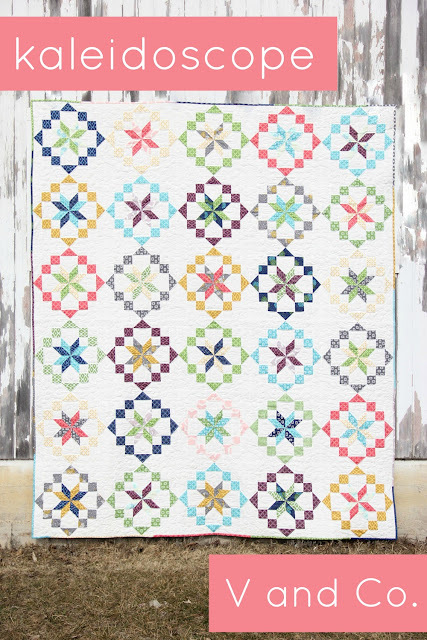 it's a large quilt it is 86" x 90" finished and super lovely to snuggle under on a couch or when the weather gets better, to take on a picnic... this quilt has a great airy feel to it that will make you so happy especially with all the color you get to look at! now next on the list is something every sewer needs. who doesn't love little zippered pouches? when i was looking for fabric to go with this pattern i immediately thought the large flowers in my line would go perfectly of course you could always use any of the other fabrics, but the matching of the flowers i think is perfect. 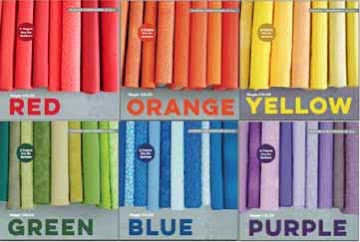 i also would love to make a few beach hats out of these fabrics! i think i will. i give instructions for the three sizes. the smallest one can carry all your simply color aurifil thread and cute embroidery scissors, and the best part about it is that if fits perfectly into you largest pouch. that middle one can be used to house all your appliqué stuff or your finished hexies. that large one? well just stuff it with all the other crap that goes with sewing on the go. i love my color block pouches. line it up with some plastic coated fabric...and you have yourself an adorable set of makeup pouches. 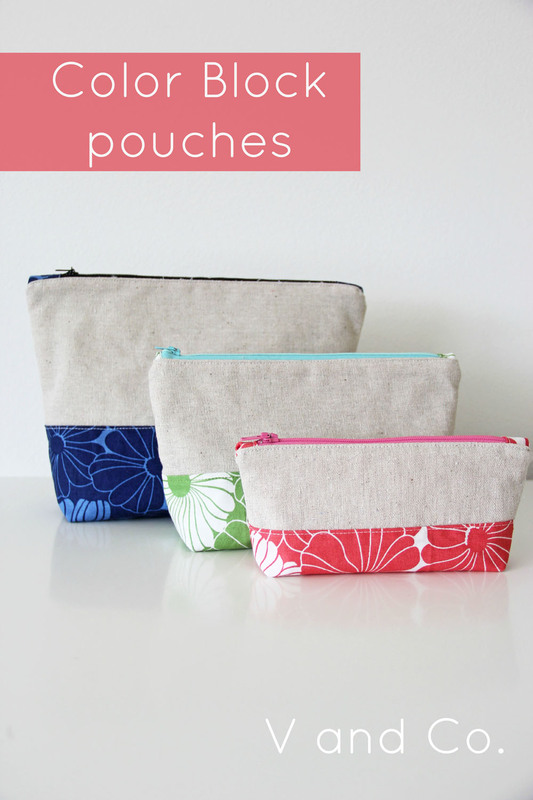 color pouch is available in PDF and in PAPER. this little lady was in my head the minute i knew my ombre chevrons were going to be part of this collection. this slouchy bag is perfect for your weekend getaway when all you need is a bathing suit and sunscreen. fancy enough for the night out, casual enough to take it anywhere. this bag is by far my favorite bag ive made. she has snaps, O rings on the handles and two big pockets inside. one zipper pocket and one open pocket for easy grabbing access. this is a must have basic bag. but seriously. this fabric was made for this bag. what color would you pick? all of them? yeah, me too. has snaps, "O" rings, a zipper pocket and deep pockets. lining is on the lightweight side so it slouches just right. 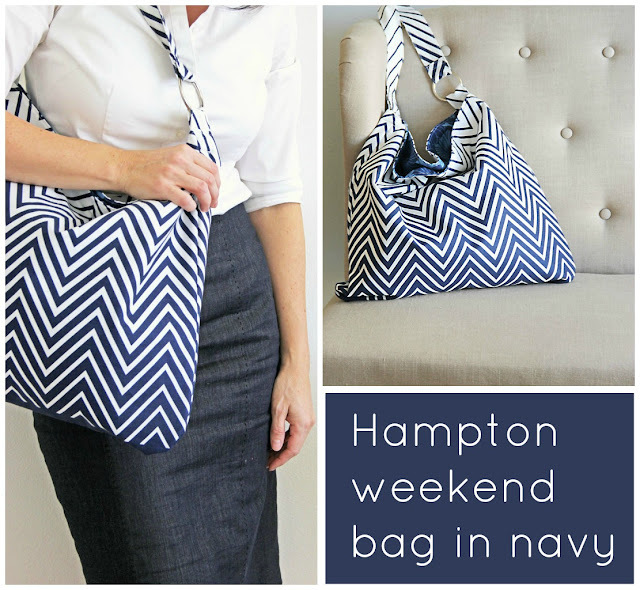 hampton weekend bag is available in PDF and PAPER. my favorite picture this time around because of the baby and the hexagons and well everything about it i guess. moda has a new pre cut called honey comb. it's 6" across pre cut hexagons. and well it's pretty much the boss. 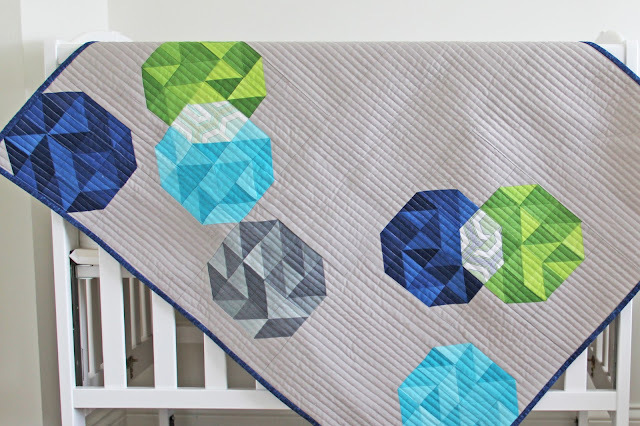 i loved working with the precut hexis and am super excited to think of new patterns for them. 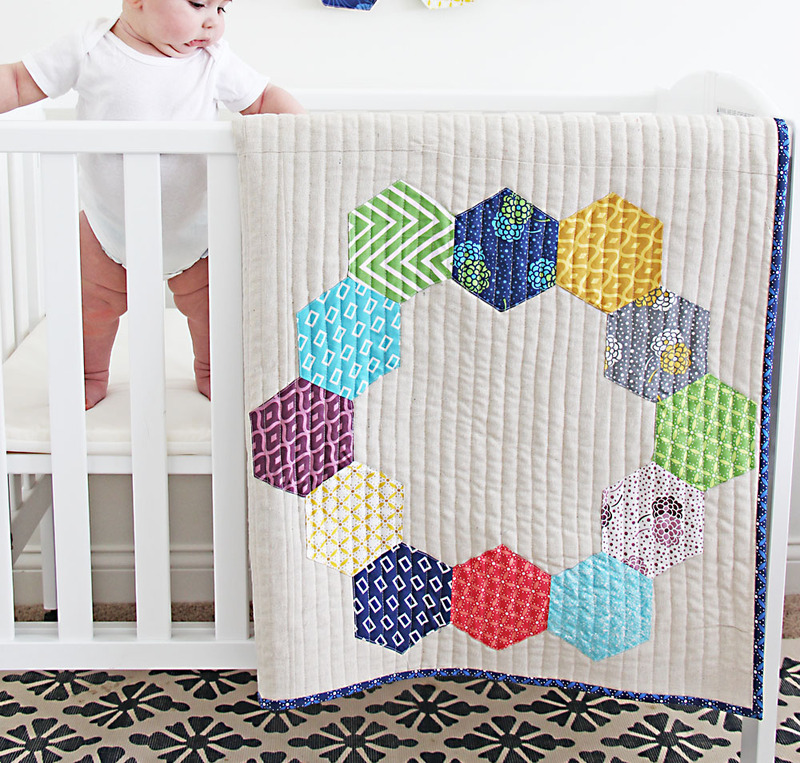 this time around i made this lovely quilt by piecing and appliquéing the hexes onto my quilt background. 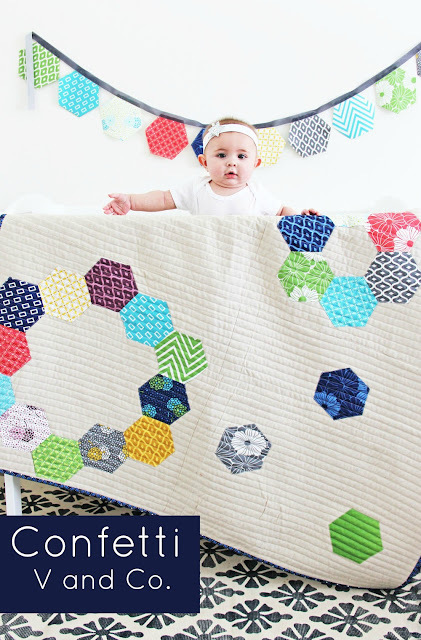 the honey comb precuts include all the fabrics in the line including the ombre's and chevrons. it's a quick and lovely quilt that is sure to dazzle your little person...or big person too. 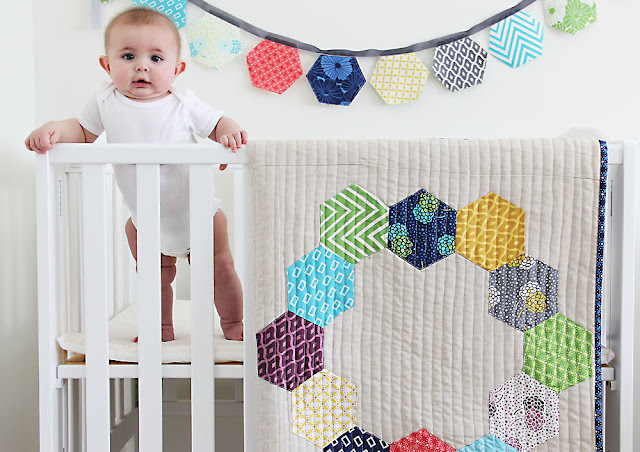 the large throw (not pictured) is 72" x 96"
and there is no explanation on how to make said cute baby in the pattern. btw her name is charlotte. okay there you have it. for this weekend only get 20 percent off any pdf pattern just type in 20PDF at check out. hopefully you'll get some sewing time in! Holy smoke, you have been working hard! Love them all but Confetti is my favorite! And the Ombré chevron is da bomb! I love the new fabric lne! Bubbles is my favorite pattern. Cute baby. They're all lovely but my favourite part is that some of the photos make it look like your wee girl is holding up the quilts! I am drooling. LOVE the bag. Like, REALLY, REALLY, REALLY love it! Ombre Chevrons. Drool. And I like the Kaleidoscope pattern. 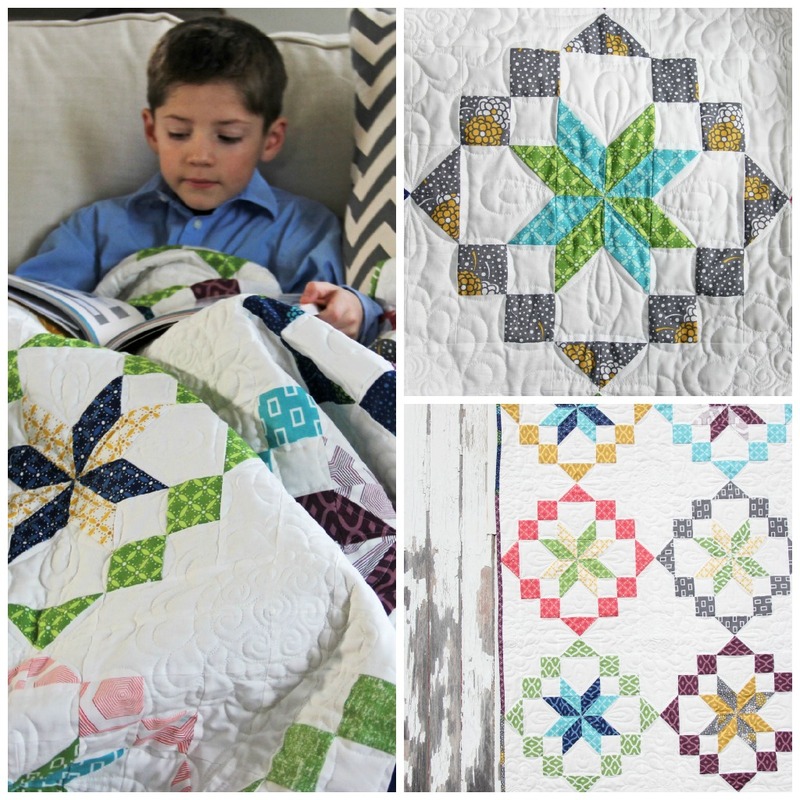 Might just have to make that one at my quilt retreat coming up! 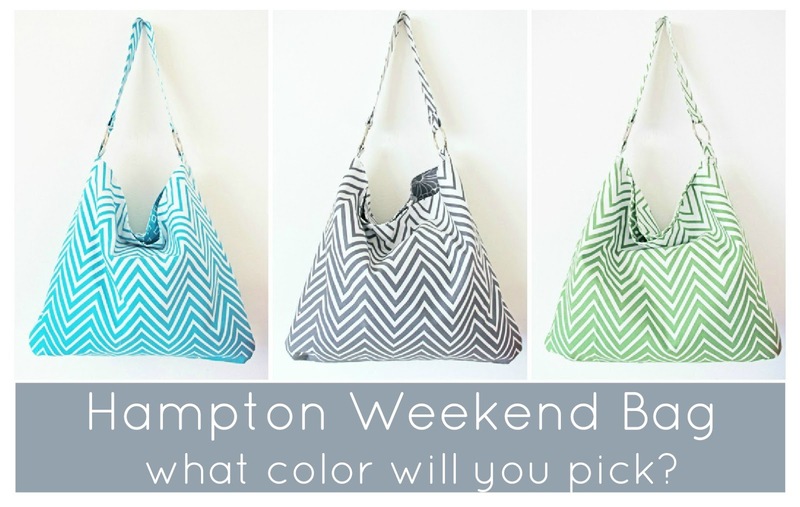 Kaleidoscope & the Hampton weekend bag are my favourites. They are gorgeous!! Confetti, kaleidoscope, bag, pouch and bubbles...in that order. But all very lovely and I want to make them all. 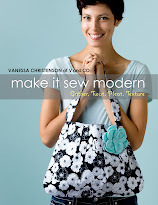 Great job again Vanessa and the fabric is another hit! 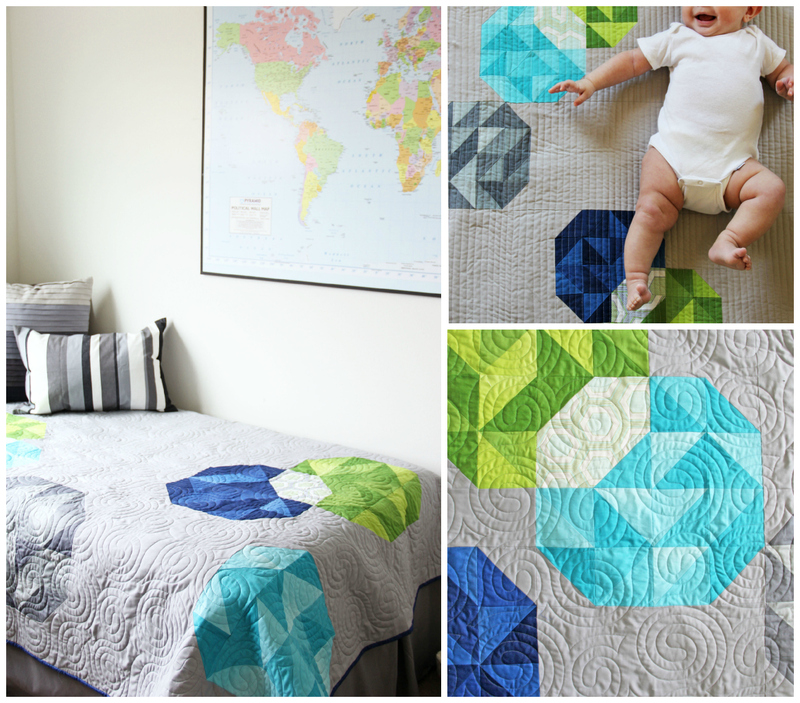 The best part of everything that you design is that it's just not quilts. I love the pouches but Kaleidoscope is by far the prettiest. Beautiful work. Bubbles for me. Love it!! I have seen many images of many kids but the way you share all images kids + quilts amazing hats off to you. Awesome looking patterns. The baby is adorable :-). I love the bag so much. Oh come on, you could have put instructions for baby making in the pattern too.......50 shades of ombré, no? Wow! So wondrful! I don't quilt but I love the bag and the banner! And th baby! Lol. Bubbles is my favorite and I NEED a chevron bag in navy for the summer. When does the fabric hit the stores? Wow! Wow! Wow! It all looks amazing Vanessa!! My favorite is "kaleidoscope". :o) And Charlotte's fussy little head. She is too cute! It really shows that you love what you're doing. All your new patterns are gorgeous. And the baby couldn't be cuter!! I think I like Kaleidoscope and Confetti the best. 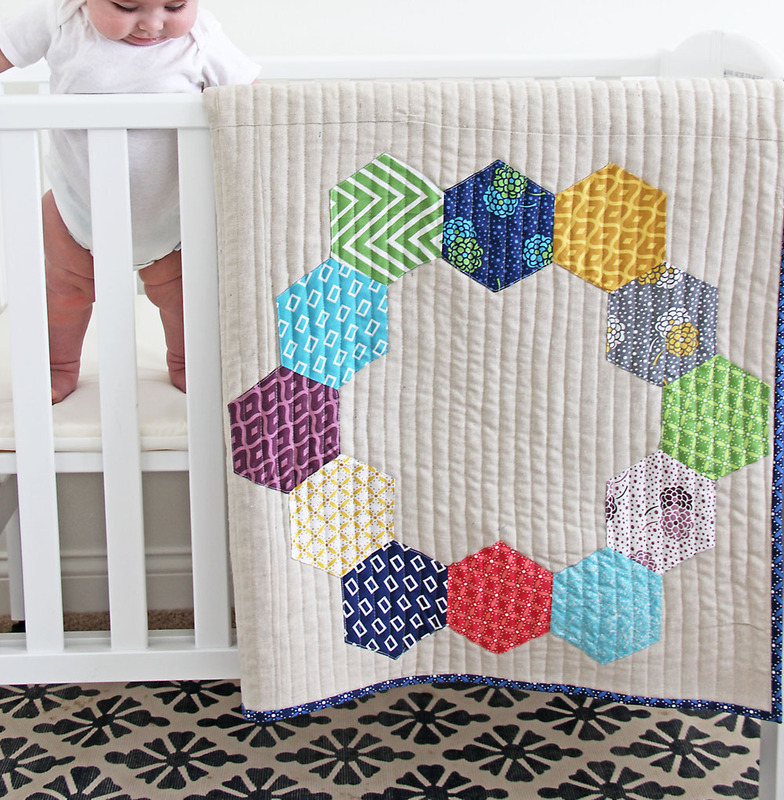 I'm so excited for the honeycombs, and love what you did with them! Lindos trabalhos como sempre,parabéns.Amei .hexágonos são meu vício.Bençãos. that might be the best round up ever. and now i want another baby. so excited for your new line and the patterns look amazing! 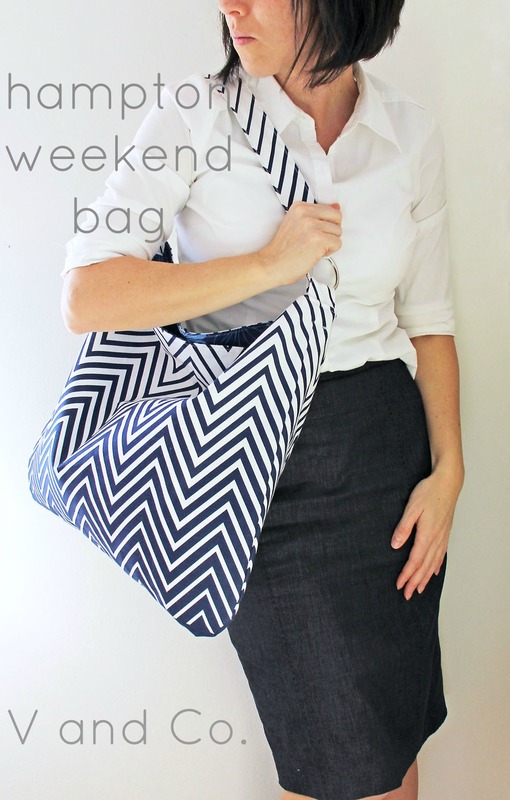 I love the Weekend Bag! I would definitely make it in navy blue (I love navy blue) but all the colors are nice. Can't wait until your new fabric is available!! love these patterns but I'm still very attached to your houndstooth pattern... i'm planning to make it from the solid ombre (simply colour)in pink and grey-- can't wait! 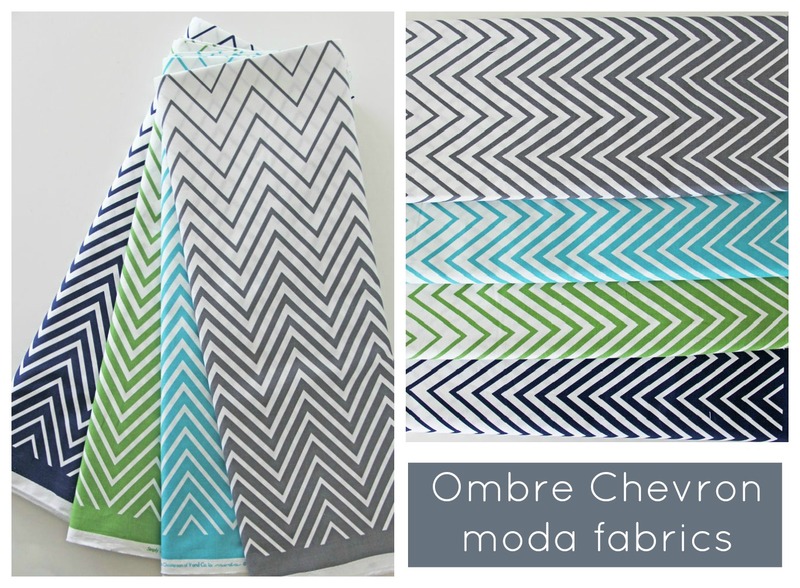 So...I am not a huge chevron fan but the ombré chevron!!! Are you kidding me? I'll take every color PLEASE! And the bag pattern too - Awesome! oh wow--i am oohing and ahhing at the computer--my hubbee just came in and said, "what, what? oh, that." i want everything!!! i desperately need to find a place to order your fabric. 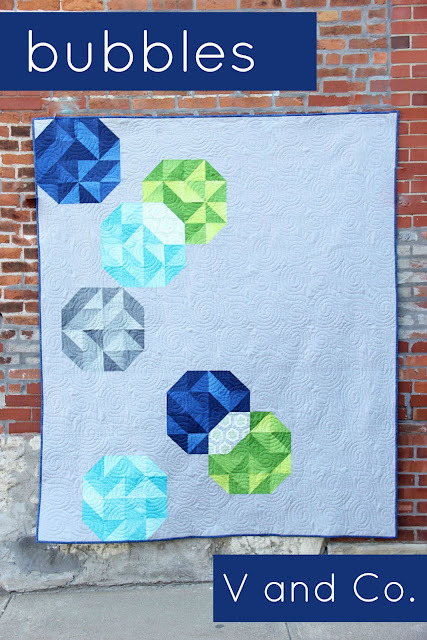 i want to make the bag and I cant decide on colors... the bubbles quilt is adorable!! CONFETTI is brilliant! I love how it is so playful. Looks something like one I did from your fabrics. It is so beautiful. Love them all!! And seeing large Dresden plates in my future with the ombré chevron fabrics. It is so hard to pick a favorite, but if I HAD to I would say Kaleidoscope! Oh dear lordy...My bank account just went BOOM!!!! Love them all!!!!! I can't pick!!! They're all great!!! 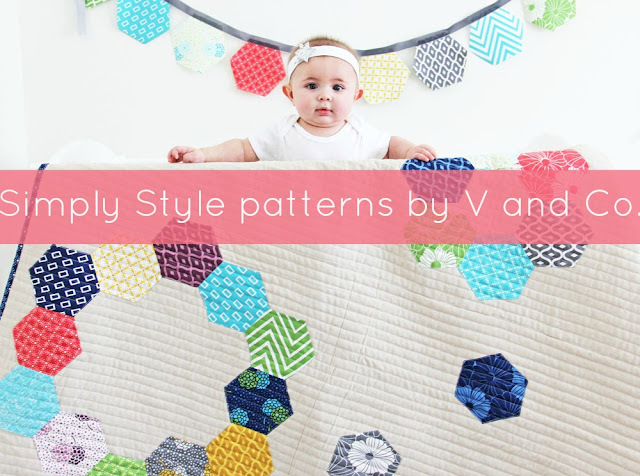 Congrats on a great selection of new patterns! You are insane...insanely awesome. I would make every single thing...since I don't quilt great though I would probably start with the bag and pouches. Love it all. AND you know I love your material, of course. You have been busy! :) I luv your Bubbles pattern. 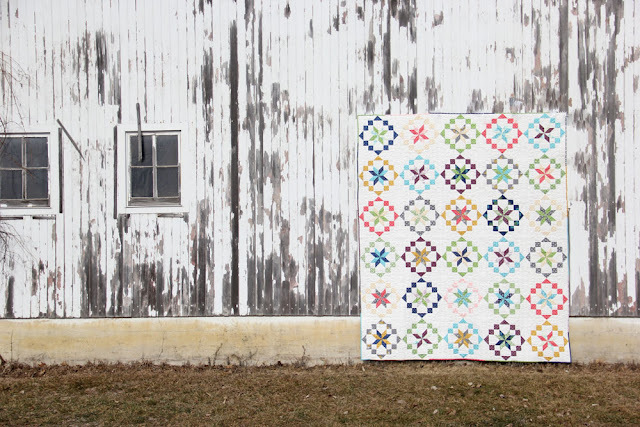 I love the kaleidoscope quilt. Is it jelly roll friendly? I love them ALL!! I need these patterns!! My fingers are itching to get at them!! I see a road trip to Intrepid Thread in my future!! Love your new line! I can't wait to get my hands on it. Beautiful projects! I do believe Kaleidoscope may be my next project! Can you tell me what background fabric/color you used? Opps :) I saw on the pattern order page that it's Bellla bleached white ~ perfect! Love all of your new patterns! 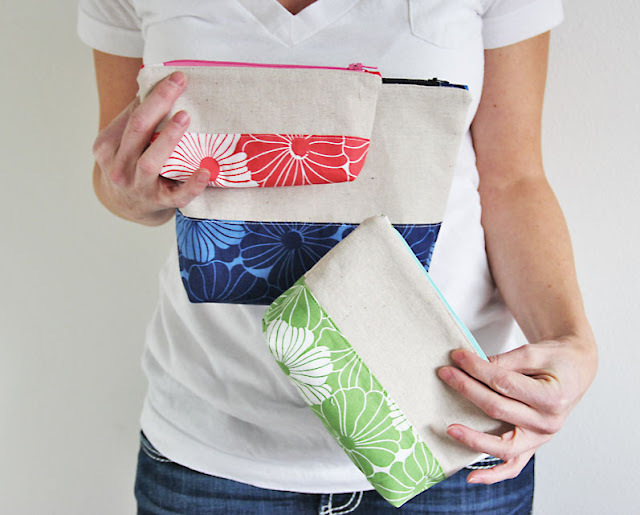 Just bought Kaleidoscopic and the Pouches patterns. Thank you for the discount! Thanks so much for the discount! 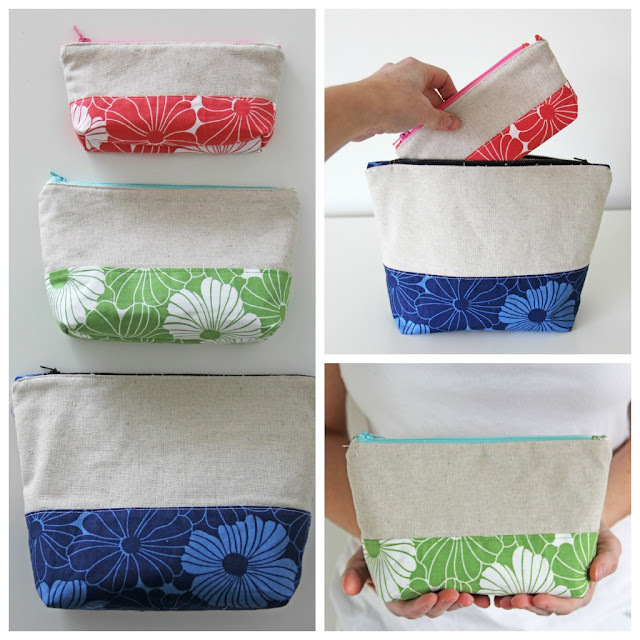 I'm buying the pouch and purse patterns right now. 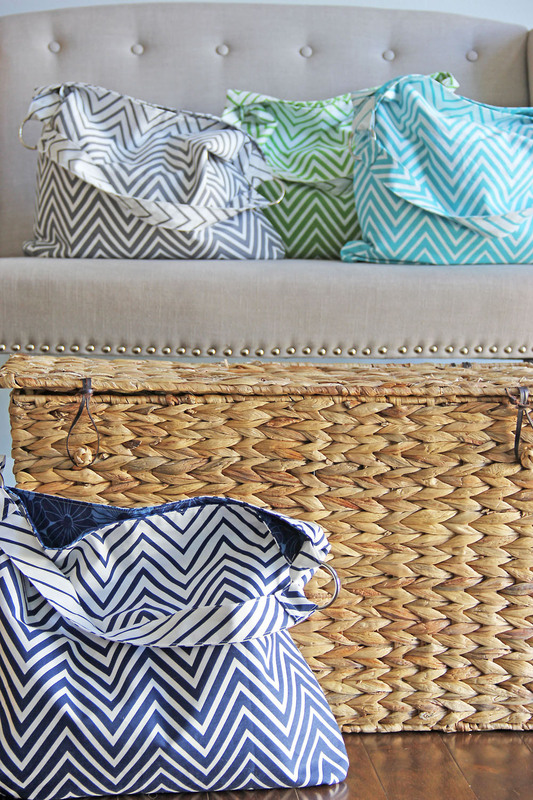 I am in love with the ombre chevrons. They are almost as cute as those little baby tree-trunk legs! Ooo! I adore Kaleidoscope the most. Great job on all of them though! Love the use of negative space to highlight the fabric. oh far out these patterns are so awesome!! You have been working SO hard!! Love love love them all, but especially Bubbles and Confetti. I really love that your patterns are achievable by beginner sewers - or even more experienced sewers like me who are still a little daunted by following patterns to the letter. 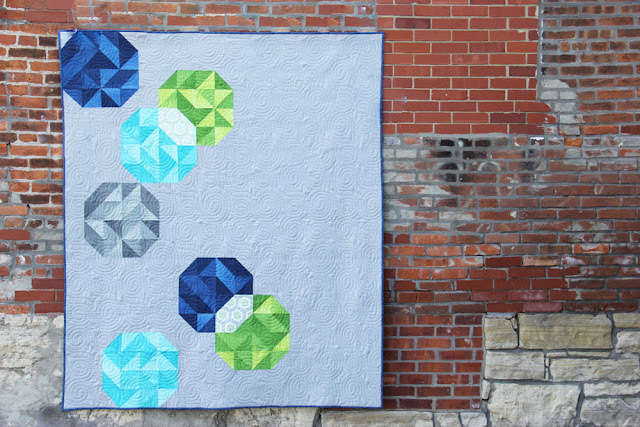 The Kaleidoscope quilt looks really effective and amazing - and from a distance, like you have to sew with diamonds. So clever. thanks so much for sharing all the gorgeous pics and patterns. I love, love your stuff! I have Simply Color and can hardly wait to supplement it with Simply Style. They all are simply fabulous. I can't wait to get my hands on the new line too. I love the ombre chevron fabric! The confetti quilt is my favorite. And OH MY WORD those baby legs are DELICIOUS!!! What a fabric line!!!!! !WOW, love the colours and designs....ombre chevron stripes...come to mama! Can I eat Charlotte, those cheeks need eating up and bubbles blown on fat thighs.....only time females can get away with fat thighs!!!!!!!!!!! Wow! These are awesome quilts which you share thank you dear I got many new ideas. 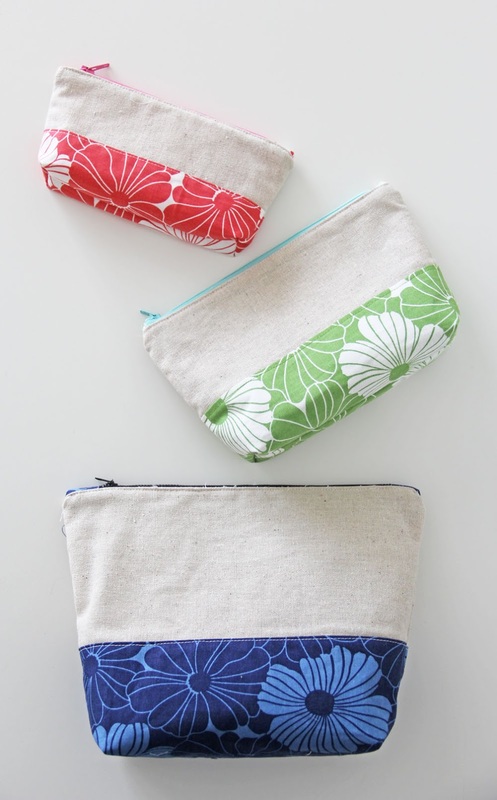 Love your color block pouches (love that they nest! ), and your kaleidoscope quilt, and the ombre herringbone fabric: oh my!!! that one is brilliant!! I saw the article about you in the Gazette today. 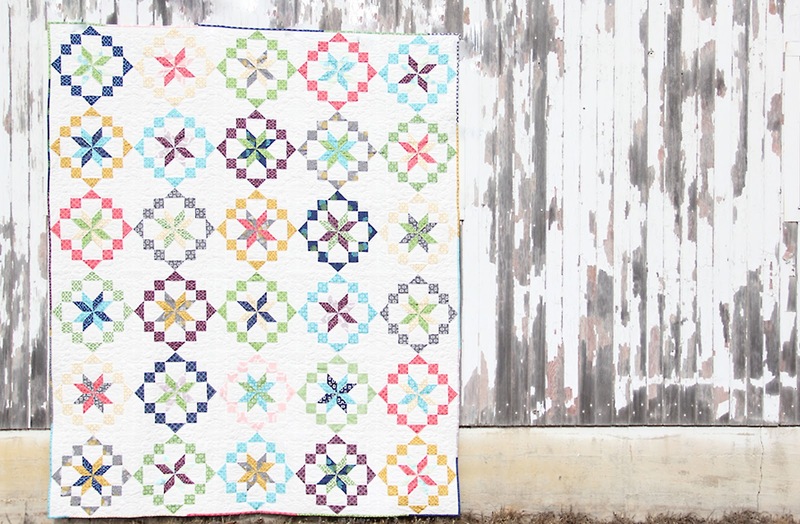 I LOVE the Confetti quilt and your whole line of fabric. Now, how quickly can I get my stack of to do projects done so I can justify to my husband why I need to buy the pattern and material? Ugh, they just don't understand! J/K! I just sewed up one of your Color Block pouches last night for a gift. What a darling pattern! I added some rickrack trim to the outside of mine. Great way to use up some of the endless stash.